History will remember two dates this week as the defining moment in the India-Sri Lanka relationship. Rather, by extension, they were landmarks in re-defining India’s evolving the 21st century equations in the South Asian neighbourhood — and by extension, in the larger geo-strategic milieu. On March 19, Prime Minister Manmohan Singh told Parliament that New Delhi was “inclined” to vote for the US-sponsored resolution on “accountability issues” relating to alleged war crimes in Sri Lanka, at the bi-annual meeting of the UN Human Rights Council (UNHRC) in Geneva. Singh said India was waiting for the final draft of the resolution, indicating that New Delhi expected certain amendments to be included in it. Colombo, which had counted India’s as a sure-fire vote against the resolution, and in favour of the Government and people of Sri Lanka, as it perceived, had not lost hope. Three days later, on March 22, a third draft of the resolution became the final American version, and was voted upon. Colombo had nothing to cheer about it even though the final draft said that “technical assistance” from the UN Human Rights Commissioner’s office can be only “in consultation with and with the concurrence of the Government of Sri Lanka”. A section of the Sri Lankan media said that the crucial amendment, which per se seems to flow from the traditional Indian position against “country-specific resolutions” at international bodies, was influenced by India. Flowing from that was also the conclusion that the veiled Indian condition indicated by Prime Minister Singh may have been met. India voted for the resolution. Sri Lanka lost the vote 24-15, with eight abstentions. History will thus argue for a long time if the Indian vote did make any difference, going by the final figures — or, if an Indian vote against the US-sponsored resolution would have encouraged at least some of the fence-sitters, as the abstaining-members would be known, to vote in Sri Lanka’s favour. One will also argue if the UPA’s decision to vote in favour of the anti-Sri Lanka resolution — ignoring the fact that this may not only sour bilateral relations but also push Colombo closer towards Beijing — was aimed at improving the lot of Lankan Tamils. Or, was it just a political decision meant to appease the DMK? At UNHRC, like in most UN bodies, voting-members are elected for a fixed term, region-wise. From the South Asian neighbourhood, Bangladesh, India, the Maldives and Pakistan were voting-members this time. Ironically, Sri Lanka was not. All three South Asian nations, barring India, voted in Sri Lanka’s favour. Among them, the Maldives has taken a consistent position that on human rights issues in the international context, the country was with the West, be it in Egypt or Oman, Syria or Iran. In fact, the UN Special Rapporteur for Human Rights in Iran is a former Maldivian Foreign Minister, Ahmed Shaeed. Yet, on Sri Lanka, the closest of neighbours in the shared Indian Ocean neighbourhood, the Maldives spoke in Colombo’s favour at the 18th UNHRC meeting in September 2011, and now voted in its favour six months later. Interestingly or ironically, among those voted against the UN resolution was Kuwait, in whose cause the US had led a war on Iraq two decades ago and the scars of which continue to haunt the West Asian neighbourhood as the ‘Palestine issue’ has been doing for thrice as much time in the decades after World War II. The Indian vote in favour of the US has come at a time when there was a perceptible shift in official India’s interest in — and engagement with — the South Asian neighbourhood. It was a new and emerging phenomenon, as New Delhi seemed to have belatedly begun re-working its post-Cold War geo-strategic perspective. The latter was an ‘arrival statement’ of sorts that accompanied the advent of economic reforms, and implied that New Delhi’s aspirations in the new millennium could not be confined either to its territorial borders, or could India be labelled as ‘the regional power’ in South Asia. Flowing from this concept was the promotion of the self-alluding perception that India might have already become an emerging global power of sorts, overshooting the South Asian neighbourhood to be an ally of the US, the world’s sole superpower. The global packaging of China, India’s immediate neighbour and a threat from the 1960s at the very least, as ringing and rigging India’s immediate neighbourhood with a ‘String of Pearls’ aimed at strangulating India at a time of its choosing only provided the equally self-satisfying justification for New Delhi’s policy-makers at the time. All that changed in recent years, as New Delhi seemed to sit down and revisit its ‘reforms era’ position, possibly to conclude that there could not be a global India, particularly in geo-strategic terms but even in political and economic terms, without a strong grip on the neighbourhood nations. History, here and elsewhere involving self and other powers, had already taught New Delhi that ‘strong-arms’ methods would not help in ‘winning over’ neighbours, which was the only way to do it, and that ‘winning over the neighbours’ was not possible without India having the kind of economic clout and political openness to make South Asia one large border-less continent. India had two models before it. One was the ‘Soviet model’, which meant that the jack-booting superpower lost out the neighbours and even some of the constituent members of the Union when communism collapsed. The other was the US model, which involved guaranteed economic integration of the neighbourhood economy with the American economy, and politically too, Washington spoke for them, stood with them. So much so, Canada, which is otherwise acknowledged as an industrialised nation in its own right, has willy-nilly come to be seen as yet another satellite, and a powerful satellite of the US — and, does not seem to have regretted the label, either. So have nations such as Australia and Japan, which for contemporary reasons have strengthened their historic ties with the US in a continuing fashion. India may have lost out on the analogy, having identified itself with the US and the rest of the West, to put a global political perspective to the Sri Lanka vote at Geneva. Minus the Geneva vote, New Delhi had learnt to manage South Asian equations through strengthened ties at the bilateral level with every nation in the region. Today, as in the Cold War era, smaller nations, still feeling suffocated by their self-serving perceptions of Indian hegemony with their causes and justification rooted in domestic politics, could find that their forgotten alliance might not have broken in the intervening years — as each one of them, particularly starting with the nations that had voted with Sri Lanka at Geneva, had a willing listener in Colombo. Translated, this could mean that the fears of the Indian strategic community, founded not necessarily on facts but only on perceptions flowing from their accompanying baggage from the Chinese aggression of 1962, would have more takers now than at the time of ‘Eelam War-IV’ in Sri Lanka (2006-09). The truth may be that India had started reworking its relations with Sri Lanka even before the revival of ethnic war in the country after the Norwegian-brokered ceasefire agreement with the realisation that in the decades after the Rajiv Gandhi assassination, bilateral ties with a close neighbour could not be held hostage to the mortality of a single individual, named Velupillai Prabhakaran, the LTTE supremo. The war years may have fast-tracked the strengthening of bilateral relations in ways that could not have been thought of after the disastrous and self-defeating era of ‘India-Sri Lanka Accord’ and the ‘IPKF episode’, not long ago (1987-89). The revisiting of India-Sri Lanka relations in New Delhi, coupled with a favourable conspiracy of circumstances, meant that India’s lingering fears about an emerging Chinese influence in the island-nation was at best in the passé. The Hambantota port, the Matara international airport and other Chinese fiscal and economic engagement were assessed for what they were worth in economic and political terms, and not necessarily in geo-strategic terms. New Delhi would now have to be more conscious than ever that it would be fighting its war(s), wherever and whatever, if it came to that, and the American strategic partner may not be ready to put a first foot forward in any meaningful way. The alternative, worst-case scenario would be that India could be fighting an American war on Indian soil — like many others have done in the recent past, and paid for it with their lost peace and destroyed prosperity. If the reverse is true and the US, as in some other cases in the past, ultimately befriends Sri Lanka, again, the loss would have been India’s. Colombo would have sent out a clear message that for ‘brokering’ with the West, even if it meant letting down China, whose vote anyway had not done the magic at the UNHRC, it did not require India any more. What more, if Sri Lanka were at any time to choose China, if not Russia, over India, it would have been for the ‘veto vote’ in the UN Security Council. 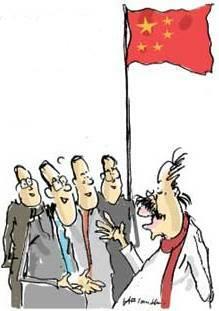 Patching-up differences with the West, whose perceptions about Sino-Sri Lankan relations was possibly a hidden reason behind the Geneva resolution, would have made Chinese help redundant for Sri Lanka, though the argument would not extend to economic ties, where alternatives are just not in sight! For India, it is not just internal diplomacy and geo-strategic concerns alone that the Geneva vote has now revived. Post-Geneva, the Sri Lankan Tamil diaspora would have developed new teeth, with which they would now gnarl at Sri Lanka and make sure that they are seen gnarling at Colombo. By hijacking and co-opting the agenda of such unlawful associations as the ‘Trans-national Government of Tamil Eelam’, which incidentally was founded with self-appointed ‘Prime Minister’ V Rudrakumaran, an American national based in the US, Washington may have sent out encouraging signals to the pro-LTTE elements that have been lying low across the world, particularly in Europe and Canada, where their votes could make or mar the parliamentary career of many a local politician. The situation would have been much different if the US had lost the vote in Geneva, or withdrawn the same at the last-minute through a compromise formula. Then, the diaspora Tamils would have cried foul, saying that the US, like India and Norway, had cheated not just the Tamils in Sri Lanka but the larger Tamil community in India and elsewhere, and would have made it their ‘war cry’ of the future. While the average Tamil in Sri Lanka would have lost his sleep, peace and hopes of leading a normal life, the day the Geneva vote was called, fearing and anticipating a ‘Sinhala nationalist backlash’ of the earlier kinds, whether or not it comes, India in general and Tamil Nadu in particular cannot think that the worst on the home front was over with a firm decision in favour of the ‘Tamil cause’ at Geneva. It is only the beginning of a new course, a new era. Whatever your arguments may be, Sri Lanka brought this upon itself. Tell me how will you force the Sinhalese govt to look into the political solution barring this one way. Gentle persuasion had led nowhere. One day the S.M. Krishna goes and talks about the political solution and tells the media that MR is looking at it. Then a few days later MR tells that he didn’t tell anything like that. These people have a long history of broken promises. PLEASE DON’T SUPPORT THEM FOR SOME GAINS FOR INDIA. VOTING FOR OR AGAINST WILL NOT have MUCH EFFECT IN THE NEIGHBOURHOOD IN THE LONG RUN. DON’T ALSO RAISE THE CHINA BOGEY. IF WE ARE NOT ABLE TO TACKLE CHINA FOR THAT WE CANNOT SACRIFICE THE SRI LANKAN TAMILS, WE CANNOT BE A MUTE WITNESS TO THEIR EXTERMINATION. With all due respects on this view by an expert on Sri Lanka it is hardly surprising that this basically right wing approach is promulgated by someone smarting from other social movements within India. What we get from these so called experts who often belong to a particular community is a convenient forgetting of how Buddhism had evolved in Sri Lanka in opposition to India and that no amount of Indian ‘giving’ is going to change this anti-Indian lobby in Sri Lanka. Infact the Tamils have always been seen as the fifth column of India from day one and this why they are in such a soup. For this writer to gloss over this and suggest that anti-Indianism in Sri Lanka is a new thing is really a high game of deception. I comment here mainly in reference to M.L.Wickemasinghe’s article titled, “Now that the Geenva deed is done, India should begin the damage control process.” A beautiful piece pregnant with meaning. I also comment here because the subject material is related and there is no provision to comment on Wickremasinghes’s article, which touched a chord in me, because India as the fountain head of immense wisdom, holds a special place in my heart. Sri Lanka is the direct and best beneficiary of this wisdom over the millennia. We will always reflect what India was, is and will be, in greatness and the low. However, while India has to take the moral high ground Sri Lanka has a greater need to seek the moral high ground not only in its dealing with its minorities, but all its citizens. This is the time for soul searching in Sri Lanka. It should have commensed on 19th May’2009, but did take place was neither properly structures,time bassedd nor wide and deep enough. The GOSL has failed to fully capaitalize on the sea change in the peoples attitudes post-war in Sri Lanka. The GOSL has done much, but not enough to gain the moral high ground. It takes two to tango and Sri Lanka has to set the pace and India should be the most able partner. We are twins- one minnow and the other a giant, but we are yet linked at the umbilicus. This link cannot be severed, however much anyone wishes. Being a giant, India has to bend more, be more patient and more carefull not to step on our toes, while tangoing. We should also be concious we are a minnow and are dancing with a giant, and not exhaust its tolerance and patience. India have no policy. It is saving far west countries from greater war crimes happened. In Iraq, Afghanistan,Palestine how many civilians were killed ? Is India brave enough to show those ? No one in Asia supported except India. Even US close allies like Japan, Qatar, Saudi, Kuwait supported Sri Lankan Government. Sri Lanka didn’t had a fight with civilians. They had to fight with a number one terrorist organization in the world. That’s where India get it wrong or pretend it wrong. LTTE terrorist activities not only limited to SL, but also to India and Maldives. How shameful India is in this case ? India supported to this case where IPKF was blamed to massacred civilians in North. How they can talk about human rights in North Tamils ? Even with their support they couldn’t bring enough votes to US camp. It revealed cheap politics to the whole world. Yes of cause regardless of the result world is questioning why only India give the votes while countries like Maldives, Saudi, Kuwait, Qatar reject it. I comment here mainly in reference to M.L.Wickemasinghe’s article titled, “Now that the Geneva deed is done, India should begin the damage control process.” A beautiful piece pregnant with meaning. I also comment here because the subject material is related and there is no provision to comment on Wickremasinghes’s article, which touched a chord in me. India as the fountain head of immense wisdom, holds a special place in my heart. Sri Lanka has been the direct and greatest beneficiary of this wisdom over the millennia. We will always reflect what India was, is and will be, in greatness and the lows. However, while India has to take the moral high ground, Sri Lanka has a greater need to seek the moral high ground not only in its dealing with its minorities, but all its citizens. This is the time for soul searching in Sri Lanka. It should have commenced on 19th May’2009, but what did take place lacked urgency and was neither properly structured,time-based, transparent nor wide and deep enough. The GOSL has failed to fully capaitalize on the sea change in the peoples attitudes post-war in Sri Lanka and has been reactive and not pro-active. It did somethings wrong- like the premature release of the IDPs from camps- in response to TNA and international pressure. The GOSL has done much, but not enough to gain the moral high ground. It takes two to tango and Sri Lanka has to set the pace and India should be the most able partner. We are twins- one a minnow and the other a giant, and we are yet linked at the umbilicus. This link cannot be severed, however much anyone wishes. Being a giant, India has to bend more, be more patient and more careful not to step on our toes, while tangoing. We should also be concious that we are a minnow and are dancing with a giant, and not exhaust her tolerance and patience. Mahinda Rajapakse is very talented as a politician. However, he should not miss the opportunity to become a statesman. The opportunity and circumstances are there for him tp prove his mettle. If this opportunity is missed, it will not return for a very long time. The TGTE is an “unlawful” organization? Since when? And outlawed by whom and for what reasons? The TGTE even though it may not be recognized, is not “unlawful” in that it is not against the law in the lands that it operates in any way, shape or form. If such was the case, the US and other countries where they are active can easily arrest and ban the association for performing unlawful activities. This factually incorrect statement shows the article for what its worth. So the author is stating that a Tamil in Sri-Lanka will lose his sleep over fears of a “Sinhala nationalist backlash” because his country was asked by the international community to implement its own report on giving him justice. Now how sad is that? Who would call such a country his own? Can the writer explain how would it will serve a voting against a mild exhortative resolution at UNHRC along with other regional neighbour will defuse any possibilities of unlikely war models that he scared of when china already made economical and political inroads in Sri Lanka specially in last 3 years after the war. Writer trying to say US-Indo alliance will not serve regional stability if terms with Sri Lanka not in good shape. Then the writer jumping on limbless diaspora groups with an extra gnarl (many sri lankans also have the same gnarl and they make sure gnarling at diaspora, Tamil Nadu as well as local tamils in Sri lanka) for pushing west to passing the resolution. The writer suggested tamils to go for an incremental 13A – minus and negotiate for other rights in a sense indefinitely in one his article published in daily mirror last year ( I don’t remember the date) and in many articles he underplayed Chinese threat and now seems to be he has taken a U turn. Unless a meaningful power sharing mechanism agreed upon with north and east there will be many more water currents in the Indian ocean. Good to see the kind of comment above specially 2nd para, In addition to your points any project to become success end user (War victims)participation and some level of decision making or contribution is important, specially in rehabilitation this aspect is paramount. One of the western NGO, i am not sure from which country but i believe from Swiss, housing project is very is successful than all other housing projects because user had option to design his house. Dr.Narendran, I agree with DBS. I would very much like to see a post-Geneva article from you. Hope to see a one from you soon. « We talk about victory and defeat but who really won or lost in Geneva?